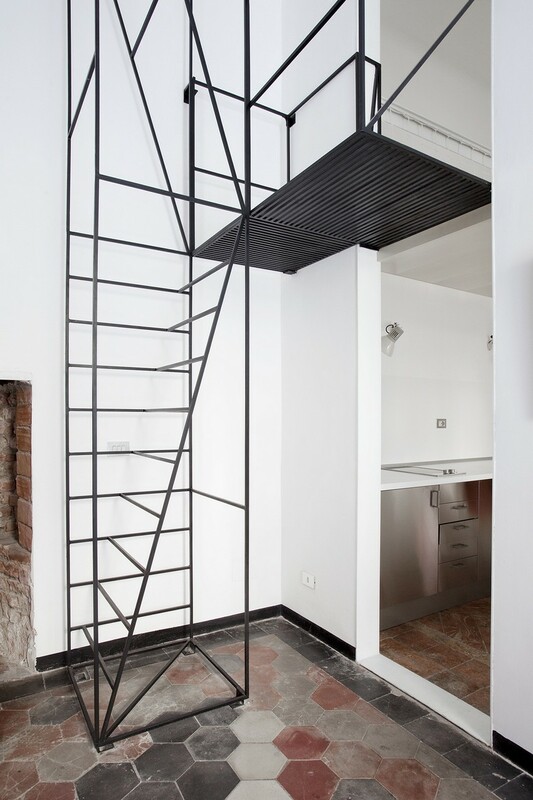 Italian architects Francesco Librizzi and Matilde Cassani came up with a minimalist staircase design to enrich the overall look of an old dwelling. 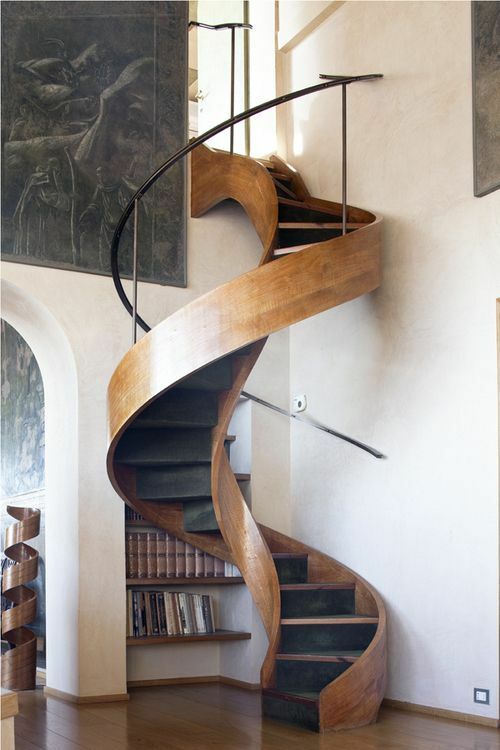 This unconventional staircase project is part of Casa C, a recently renovated house in Milan. Dutch studio Studio Mieke Meijer has created an integrated desk, shelving and storage staircase called the “Object élevé”. 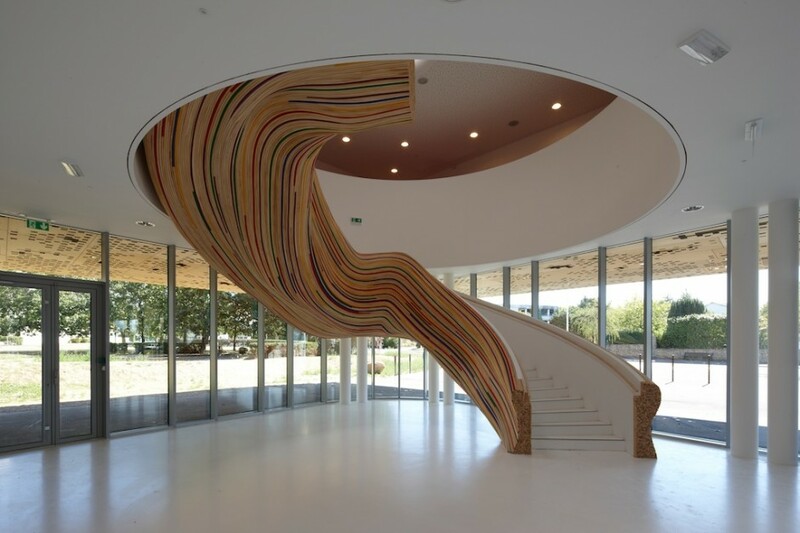 This is a beautiful stairs at the School of Arts in Saint Herblain, France, designed by Tétrarc Architects. This sculptural stairs shows the artistic elements in this School of Arts in unique and beautiful design. It has colorful lines that construct its surface. The steps colored in white, give a modern looking to this stairs. In the never-ending battle for storage space at home, take a look on storage ideas under the stairs. 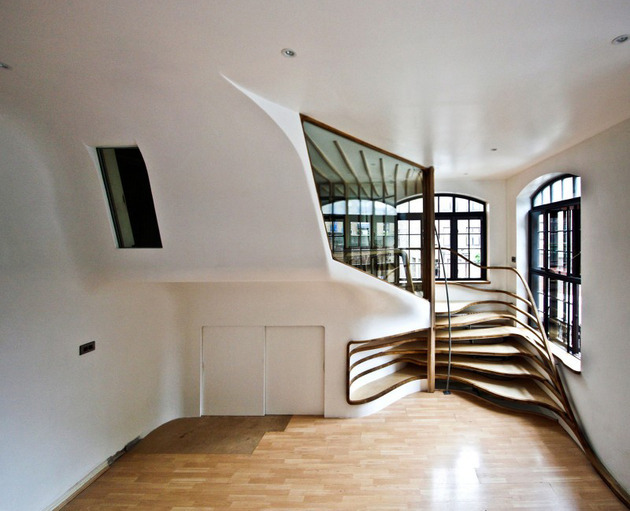 This amazing staircase, designed by Atmos for a London apartment, is the winner of the 2013 UK Wood Award. The staircase is actually part of a bigger wooden structure that creates a room in a room. Layers of wood spiral are cut slightly to create a built-in shelf structure at its lower part, and to give access to the room-in-a-room at its top part. Located in a residential neighborhood in Sapporo, Japan, Case is a minimal, single-family home by Japanese architecture firm Jun Igarashi Architects. No matter how much place you own, staircase always takes you some place in home. here is list of 10 very creative and ususual staircase design. Some of them can be used as a storage for different items especially books. Others are part of furniture or independent piece that really catches the eye.